What they do: BK ROT currently diverts over 38,000 lbs of organic waste annually from landfills while creating year round employment for local youth and producing compost for community use. 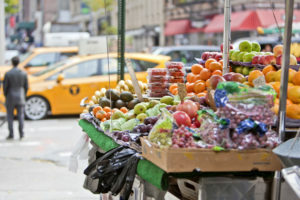 Approximately 50% of household waste is compostable and yet many neighborhoods are not currently being served by DSNY’s curbside organic waste collection. Since August 2013 our team has processed over 54,269.5 lbs of local organic waste. BK ROT primarily serves households (over 85), but is focused on expanding commercial organic waste collections and will transition to exclusively serving businesses this year. 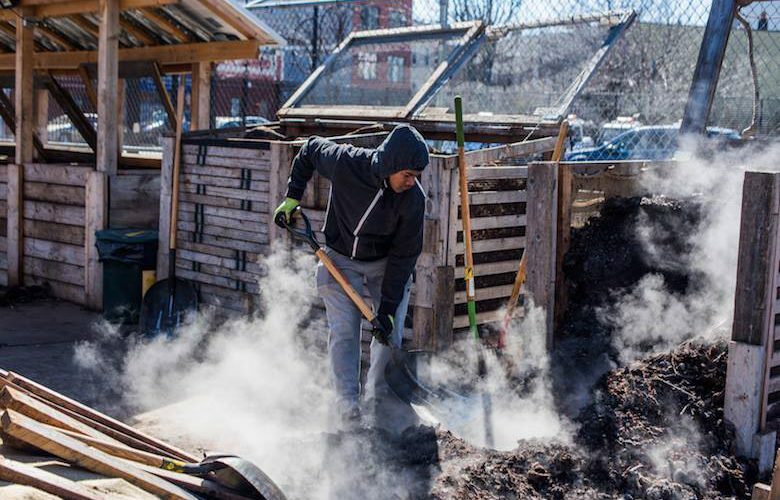 How they do it: BK ROT is a community-supported composting operation that generates year-round environmental jobs for local youth in Bushwick, Brooklyn. BK ROT workers collect organic waste from residents, small businesses and community institutions by bike, and process the material at our compost site, Know Waste Lands. We are currently collecting and processing 6,000 lbs per month. Mission: BK ROT works at the intersection of the social and environmental injustices impacting youth of color from the neighborhood and the health of our community and larger ecosystem. We believe that climate change and institutionalized racism are the largest crisis of our times. Efforts to fight against these compounding crisis must be community-led, and must empower those most affected by these crises. We see great potential for grassroots efforts at the neighborhood level to experiment with solutions to combat climate change while creating genuine space and opportunity for young adults to drive these efforts. Major funding: Fees for organic waste recovery services and grants. Interesting fact about how they are working to positively affect the food system: In 2016 we produce 19 tons of locally sourced, fossil fuel free, handmade finished compost. The use of finished compost is essential to rehabilitating intoxicated soils and most importantly it is a vital resource in growing food. We sell and donate our compost to many local community gardens and projects with social justice missions.